Is it possible to substitute the gears to a regular in game items (diamond, nether star, hell, 2 books of mending or something) for those of us who do not have the other mods. otherwise the mod is awesome. Another suggestion is add a way to see how much RF is stored in the block. There is an option in the config to set what item is to be used for the "gear" item. It takes a ore dictionary name, so if you want to use diamonds, you'd use "gemDiamond" (I'll release a new 1.9.4 soon with something other than invar gears as default, since there are no invar gears at this time). It used to be that WAILA would automatically show the stored RF. I'll have to see about adding support for that directly. 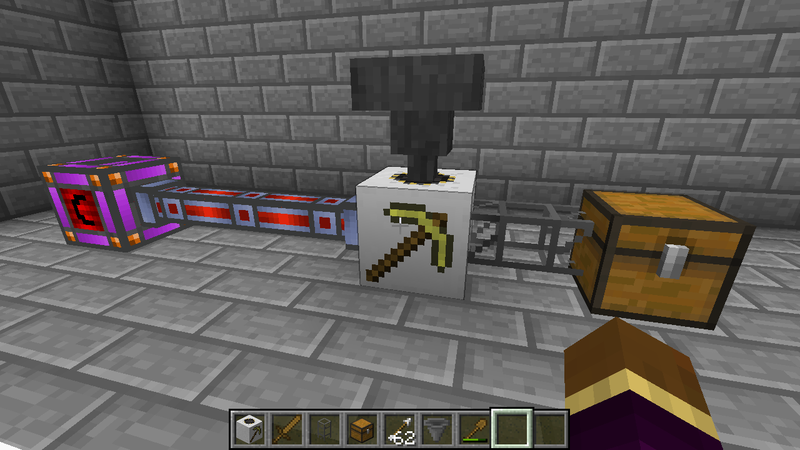 what if i do not have the ore dictionary mod? The latest version which was released one day after I posted this works. I am using it with the official cofh releases which have been released very recently.